Our club member Marija Glabus went to Tocal Field Day recently and seems like she had a great time. Here is her report of all the actions on that day. The Tocal Field Day was highly recommended as being a great day, so taking the advise from members, it was penciled into the diary. 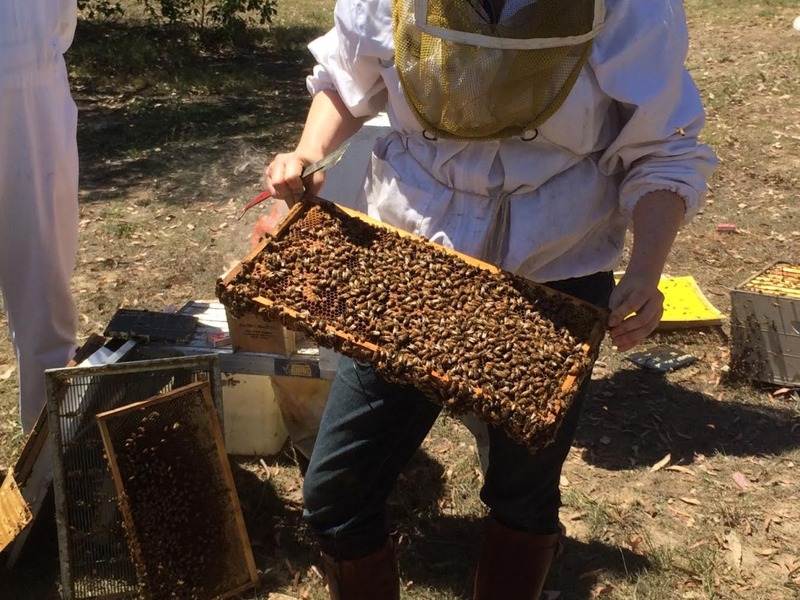 I arrived just after 9.30 having missed the first lecture, – qualifications for beekeeping. The lecture theatre was standing room only and already there were 5 or 6 deep at the doors. I thought I’d wait for the next lecture. So instead took the opportunity to wander around the beekeeping suppliers, checking out supplies, reference books. I’m becoming more familiar with the equipment and this gave me the chance to study them more closely. 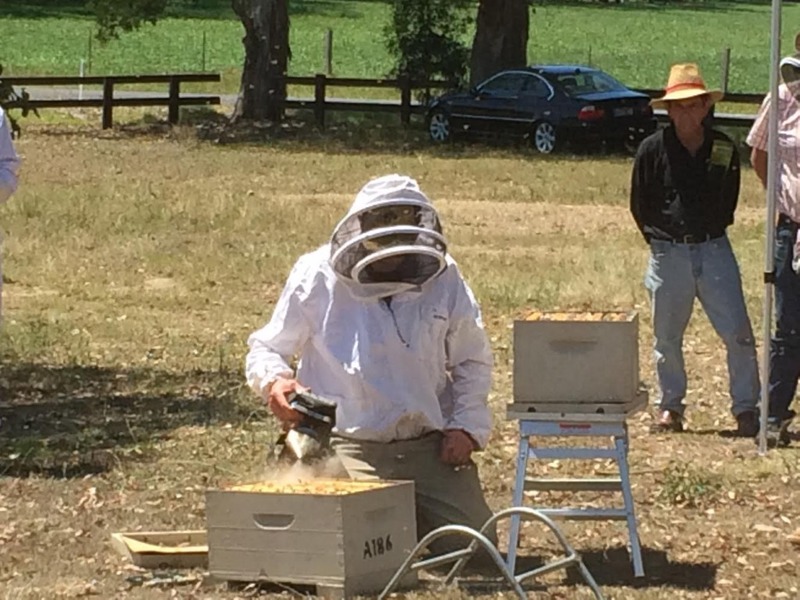 By now, there were some familiar faces from the Central Coast Beekeeping association appearing and a chance to catch up. I too missed next section – saving a failing hive, the lectures were running back to back, so people were not leaving. Unfortunately the lecture theater was not large enough for the crowd on the day. Morning tea time gave a chance for the theatre to empty as I’d had an earlier break I slipped in to be sure of a seat. It’s now just after 11 am and I make my way to the lecture – focus on disease and bio security by Doug Somerville. 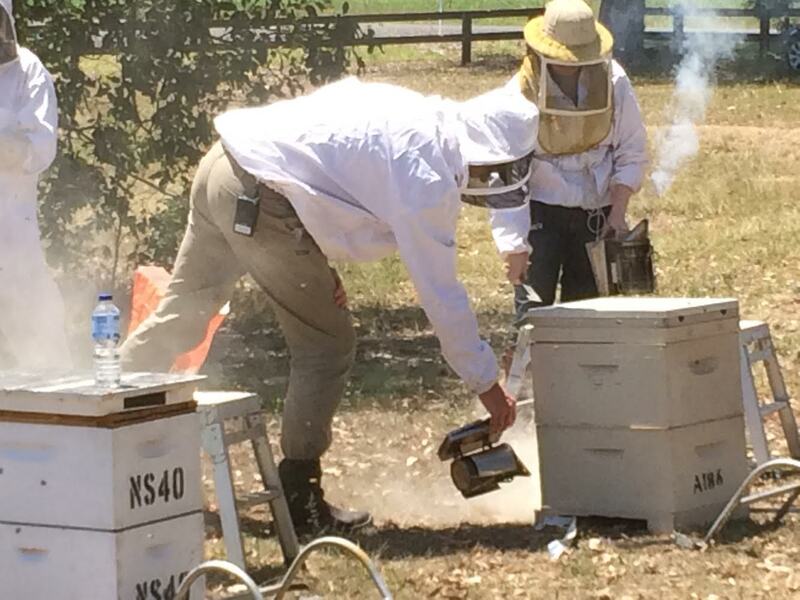 Doug spoke about the possible concerns facing Australian Beekeepers with potential threats such as the Varroa mite. Doug also spoke about the history of the disease and the transmission across countries. What I took away from this session, was to know your diseases and pests, be vigilant in checking your hives, and check regularly for any signs of disease or pests. 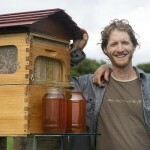 Doug then spoke about a new website – BeeAware – honey bee bio security and pollination. 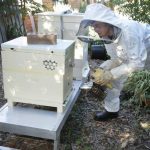 The website contains extensive information about established pests as well as exotic pests that affect honey bee colonies elsewhere in the world. The life cycle and biology of each pest is described, as well as the signs and symptoms to look for, guidance o. how to check for them and how to manage the pests most commonly found in Australia. A flyer promoting the BeeAware website further advocates that – if you see anything unusual, call the Exotic Plant Pest Hotline 1800 084 881. The website also contains a detailed pollination information for a number of plant industries, allowing growers and beekeepers to work together to get maximum benefit from honey bee pollination. 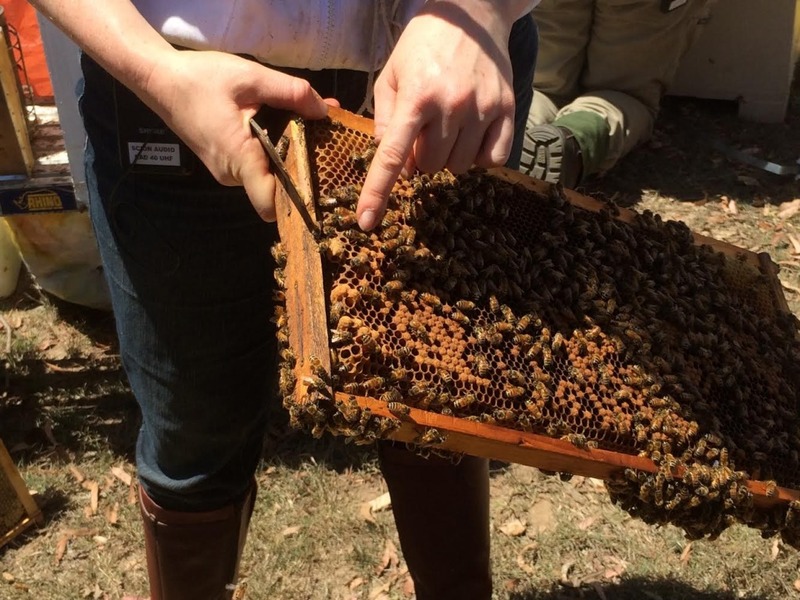 The website brings together a variety of sources, a great online source of detailed information for farmers and beekeepers alike. 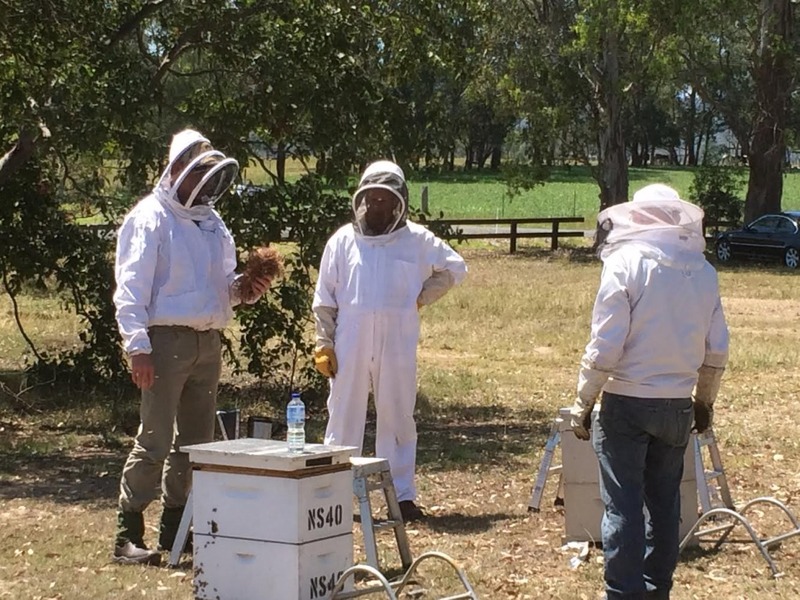 The next session was the opening of bee hives for beginners. The day was certainly warm at this stage of the day, and that may explain the cranky mood of the bees out in the field. The presenter / beekeeper, Elizabeth was strung at least three times and one on the upper lip, just introducing the session to a large gathering audience. Warnings were given to the audience in regards to severe bee allergy (anaphylaxis). Doug then joined Elizabeth, to explain the difference between an amateur and an experience bee keeper, was in the time it took to remove a sting. An experience beekeeper will remove the sting in a series of seconds, while an amateur beekeeper will take several minutes. Elizabeth was clearly experienced. Apply a cold press or even washing the affected area with water, this dilutes the venom, therefore reducing the severity of the sting. Doug then went on to unsuccessful tempt for a honey bee to sting him, to demonstrate string removal but after trying three different bees for the stunt, no luck. Being stung is only a matter of time being a beekeeper. Doug then went on to fire up his smoker, applying the smoke to the hives and waiting more than a few minutes and then applying yet more smoke to the hives. This should give you an idea how cranky the bees were. Elizabeth started to disassemble the hive, with Doug disassembling the second hive. 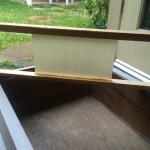 For a beginning beekeeper, it was great seeing the approach to cracking open the hive, removing the lid. Both presenters talked about the need to look after yourself, particular your knees, hips and back, heavy manual lifting can take its toll on you. Discussing tactics – cranky bees about! Doug showing the audience cool smoke. Elizabeth checking a frame for potential pests and diseases. A drone (male bee) – its role is to keep the hive warm. The afternoon sessions included information on the Wheen Bee foundation. 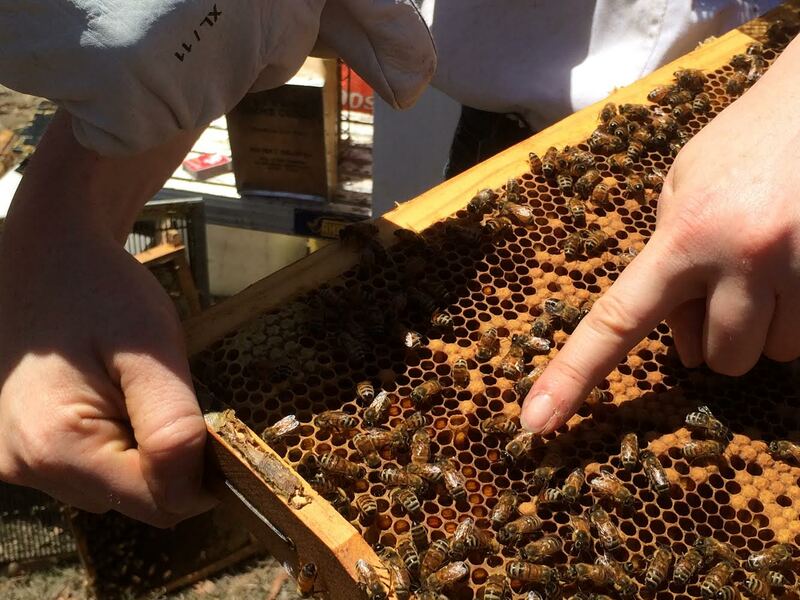 Their mission is to support research and innovation that safeguards bee health. 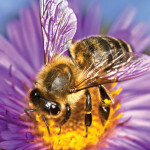 Bee security is essential to ensuring food security. There are around 100 crop species that provide 90% of the world’s food production. Bees pollinate over 70 of these crops. 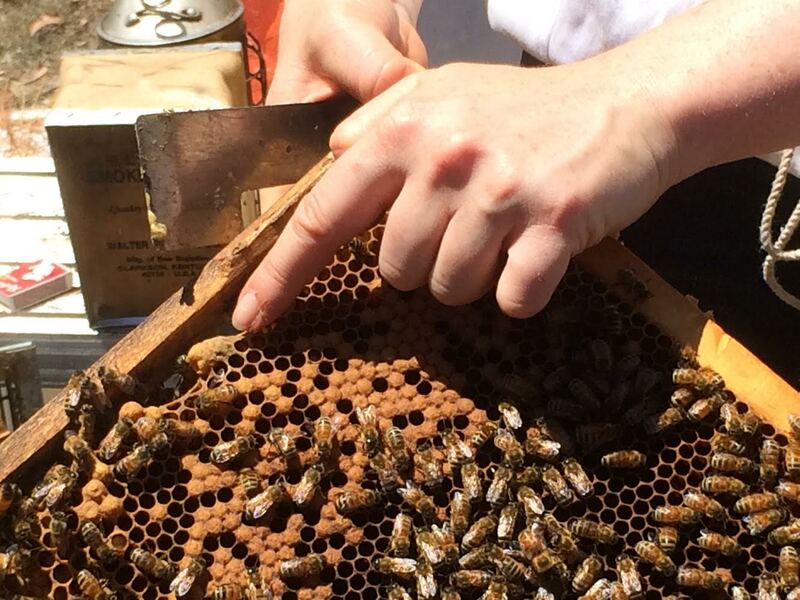 Next session was Queen and things, the commercial harvesting of queen bees. 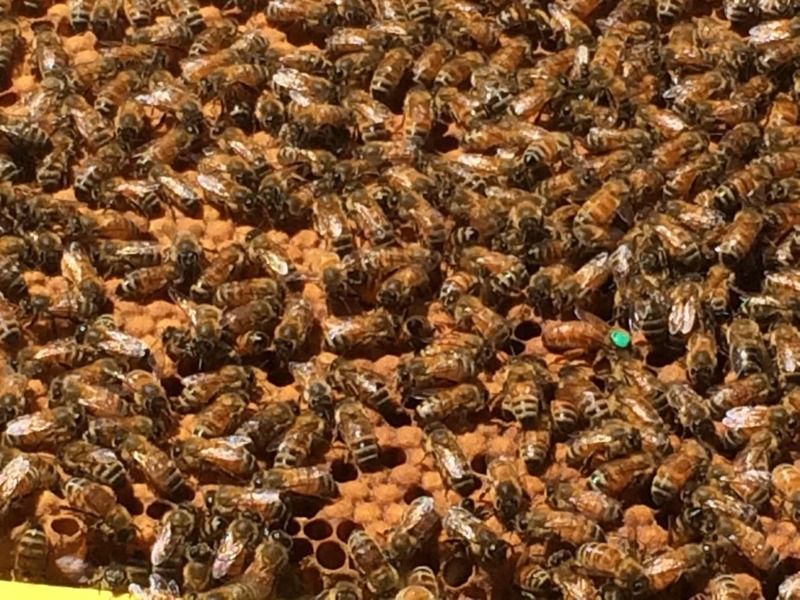 The importance of drones was explained in terms of the vitality of the queen bee, needing between 12 – 32 healthy drones that could mate with the virgin queen bee. Last session of the day – was very interesting,- native bees. Dani Lloyd Prichard presentation covered the importance of the most undervalued native bee. Dani spoke about both communal and solitary native bees, having references to reading material including: Native bees of the Sydney region found as a (PDF), as the book is now out of print, but can still be download for a small fee from the following website Aussiebees.com.au or email bees@zabel.com.au that’s Russell and Janine Zabel. Also a second book, Australian Stingless Bees : A guide to sugarbag beekeeping by John Kumpp which is still available in hard copy. A third publication is available from the following website Rural Industries Research and Develop Cooperation, http://www.rirdc.gov.au/publications and search for honey bees this site provides up to date information and research. Overall the day was very productive, so much information to filter and seek out websites for further understanding. 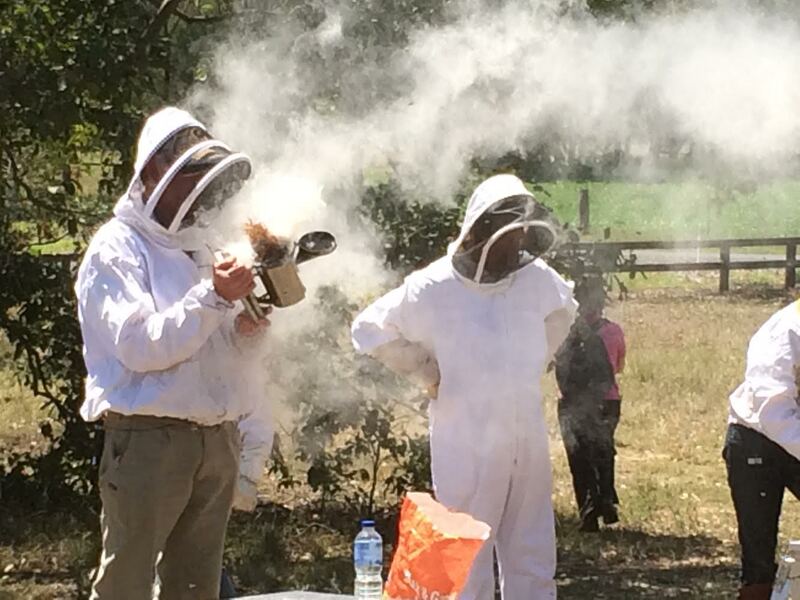 I’m glad I’d listened to the members of the Central Coast Beekeeping Association for their advise.